Conversations is a monthly, 30-minute television show in which I participate in an ongoing conversation about the Archdiocese of Louisville, my involvement with the larger Church (both nationally and globally), and issues of faith in general. In the second segment from our April 2019 episode, I interview Deacon Scott Haner about the “Building a Brighter Future” Campaign for Catholic Charities of Louisville. I serve as the Episcopal moderator for the National Catholic Partnership on Disability (NCPD). Its mission stems from Gospel values that affirm the dignity of every person, and it seeks to work collaboratively to ensure meaningful participation of people with disabilities in all aspects of the life of the Church and society. Conversations is a monthly, 30-minute television show in which I participate in an ongoing conversation about the Archdiocese of Louisville, my involvement with the larger Church (both nationally and globally), and issues of faith in general. 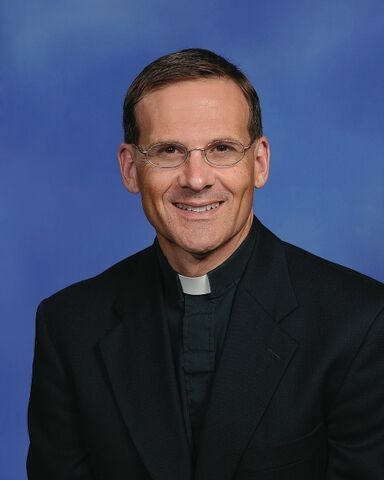 In the first segment from our April 2019 episode, Chancellor Dr. Brian Reynolds and I discuss how future priests are formed in the seminary. View this uplifting summary of the wonderful evening at the Catholic Education Foundation’s Salute to Catholic School Alumni Dinner. See my remarks from the evening below.